The Flambeau Simone 6 light chandelier in distressed silver and gold leaf finish is made in Britain and features New Orleans style and flamboyant design. Ceiling mount, chain suspension and cartwheel frame, with curving arms on the outer rim, all finished in distressed silver. 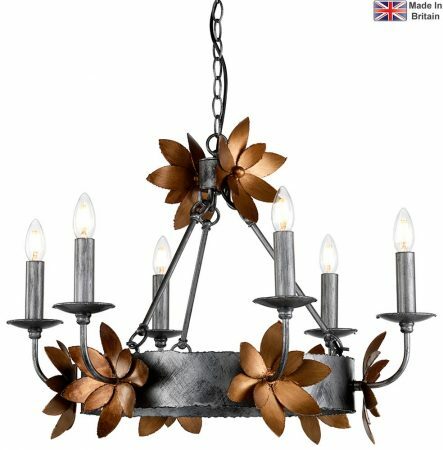 The arms boast large sculpted gold leaf blossoms and the candle style lights are fitted with metal candle pans and candle sleeves. Supplied with height adjustable chain suspension that can be shortened at the time of installation to achieve the perfect height, please see the technical information for minimum and maximum drop. There are matching fittings available in the Simone collection that can be viewed below. 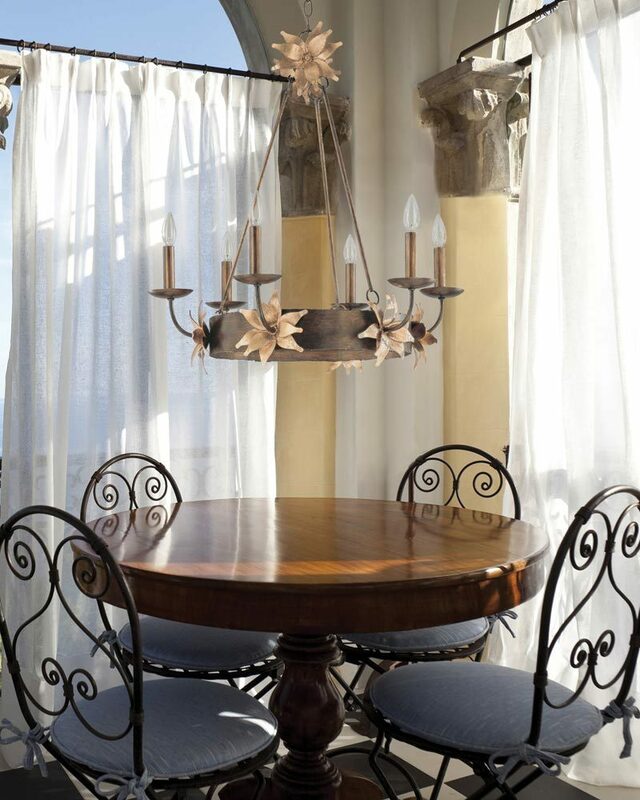 Supplied by Elstead Lighting and designed by Flambeau in New Orleans who offer unique and distinctive lighting collections. Working with specialist designers who model up their own original creations using distressed finishes of gold and silver leaf to create 21st century antiques like the Simone 6 light chandelier in distressed silver and gold leaf finish you see here.